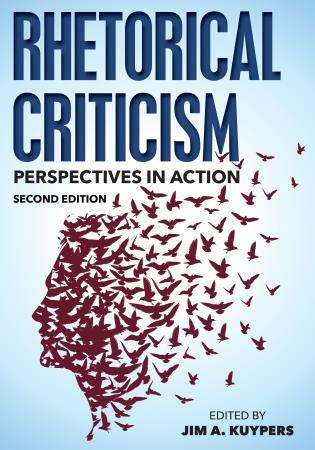 The second edition of the textbook Rhetorical Criticism: Perspectives in Action from Jim Kuypers and his chapter contributors offers an insightful and productive look at what it means to write rhetorical criticism and why that practice matters, especially today. In the preface, Kuypers notes the challenge instructors face when students desire a "formula" for writing criticism and explains that with this book he has tried to give students "some starting point" while also stressing "the very personal nature of criticism" (xiii). While I agree with J. Michael Hogan of Penn State who describes the text as "sophisticated yet accessible" for both undergraduate and graduate students, I would add that Kuypers also delivers a textbook that lives up to the challenges of teaching rhetorical criticism. New to this edition are "chapters on critical approaches to rhetorical criticism and the criticism of popular culture and social media" and appendices containing thirteen additional perspectives, four steps to begin writing criticism, and a glossary (xiii). Though Kuypers includes only the one chapter on Dramatism, notably at the heart of the text, Kenneth Burke's influence on both Kuypers and rhetorical criticism as we know it can be felt throughout. The investment in rhetoric as a pragmatic and humanistic subject is perhaps the text's most important overarching argument and its most apparent link to continual echoes of Burkean thought. This is evidenced early on when Kuypers's writes that rhetoric "allows for the creation of new knowledge about who we were, who we are, and who we might become" (1). In the effort to show students why and how rhetorical criticism is worthwhile, Kuypers and his chapter contributors explain the basics of a range of rhetorical perspectives, ultimately advocating for rhetorical criticism as a means of civic engagement. Though Kuypers sets out to overview what rhetorical criticism looks like for the rhetoric scholar, he stresses the point that bringing these tools into our daily lives bears the potential to effect real societal change—a truly Burkean notion. The textbook is organized into three parts: Overview of Rhetorical Criticism, Perspectives as Criticism, and Expanding Our Critical Horizons. Following an introductory first chapter, part one includes chapters two through six where Kuypers and contributors cover basic concepts related to the study of rhetoric in general and how those concepts translate into criticism. Chapter two covers rhetoric in its traditional sense (as persuasion) while encouraging students to understand rhetoric in its more nuanced forms. Among other important concepts, the authors also address rhetoric as it intersects with questions of intentionality, ethics, ideology, and objectivity and subjectivity. In chapter three, Kuypers writes of the "critical turn" in rhetoric scholarship by defining criticism broadly and then explaining its application in the study of rhetoric. In rhetorical criticism, he writes, "We are looking at the many ways that humans use rhetoric to bring about changes in the world around them" (21). He takes care to characterize rhetorical criticism as an art rather than a science, stressing the idea that even though it does not adhere to a scientific method, criticism is still meant to be "quite rigorous and well thought out" (23). In chapter four, Marilyn J. Young and Kathleen Farrell discuss "rhetoric as situated" (43). Leaning on the tradition of Lloyd F. Bitzer, they emphasize that situational rhetoric involves more than just context. Though exigence, audience, and constraints are essential factors, they explain how public knowledge comes to bear upon interpretations of rhetorical situations. Ultimately, Young and Farrell convey to readers that "[s]ituational analysis allows us to view rhetoric as an organic phenomenon" (44). Additionally, William Benoit's chapter on genre and generic elements addresses the role of genre in the development of rhetorical criticism. He explains that "[g]eneric rhetorical criticism is based on the idea that observable, explicable, and predictable rhetorical commonalities occur in groups of related discourses as well as in groups of people" (47). Though no two pieces of rhetoric are identical, Benoit advocates for the "intelligent use" of criticism to broaden our understanding of rhetorical discourse (57-58). The eight chapters included in part two of the text describe various perspectives from which to approach rhetorical criticism. Each chapter provides an overview of the perspective and its key terms, an explanation of the perspective in practice, sample essays, and a brief overview of the potentials and pitfalls of each perspective. Part two begins naturally with a chapter on The Traditional Perspective in which Forbes Hill covers the traditional notions of rhetorical criticism. He includes content that instructors would typically expect to find here as well as key rhetorical concepts like artistic/inartistic proofs and syllogisms (74-7). Though Hill addresses a lot of content in this chapter, he does so effectively for students already familiar with basic rhetorical concepts. In chapter eight, Stephen H. Browne illustrates the role that close textual analysis can play in rhetorical criticism. In spite of the tension between communication studies and literary studies, he asserts that this type of analysis "requires a sensibility cultivated by broad reading across the humanities and asks that we bring to the task a literary critic's sharp eye for textual detail" (91). In plotting out the "guiding principles" of close textual analysis, Browne emphasizes that "rhetorical texts are sites of symbolic action" (92), further cementing the Burkean strain of the text. In their chapter Criticism of Metaphor, David Henry and Thomas R. Burkholder illustrate how this perspective can be a useful tool when metaphor is central to the artifact under consideration. Metaphors can be important sites for analysis, the authors suggest, because they influence how we understand seemingly unrelated ideas and "establish the ground for viewing" a given rhetorical situation (108). This chapter builds nicely upon the previous one by offering a tool that can work well in tandem with close textual analysis. 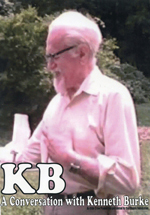 With chapter ten, Robert Rowland provides insight into narrative criticism, another perspective closely connected to Burkean notions of rhetoric. Because people have been telling stories for thousands of years, he asserts, narrative rhetoric is not only worthy of critical attention but also functions differently at the persuasive level than traditional argumentative or descriptive rhetoric (126). The theories of Burke and Walter Fisher become important assets to Rowland in this chapter as he lays out four functions for narrative in rhetoric. This perspective is essential, for Rowland, because narrative is central to how humans influence one another. Notably, Kuypers's strategically places Ryan Erik McGeough and Andrew King's chapter, "Dramatism and Kenneth Burke's Pentadic Criticism", at the heart of the textbook. Building upon the previous chapter, they stress the idea of humans as storytellers by explaining Burke's theorization of Dramatism and the pentad's correspondence to narrative construction. They emphasize Burke's notion of identification because of the less often considered way in which persuasion occurs unconsciously. McGeough and King remind students in this chapter that "Burke thought that people ought to be able to analyze and understand public questions on their own" (151), which also ties this chapter back to Kuypers's original purpose of advocating for rhetorical criticism as a means of civic engagement. In their overview of fantasy-theme criticism in chapter twelve, Thomas J. St. Antione and Matthew T. Althouse define a fantasy theme as "a narrative construal that reflects a group's experience and helps a group understand that experience" (168). The authors explain this perspective's relationship to symbolic convergence theory and provide a sample essay that analyzes multiple fantasy themes surrounding the same topic. They do well to explain that this perspective is useful to understanding webs of communication and the influence of fantasies on constructions of reality; however, this chapter will require more work on the part of the instructor to help students see how this perspective transfers into practice. In chapter thirteen, Donna Marie Nudd and Kristina Schriver Whalen offer a compelling chapter on feminist analysis. In addition to making space for a productive discussion of gender, they define feminism as "a pluralistic movement interested in altering the political and social landscape so that all people, regardless of their identity categories, can experience freedom and safety, complexity and subjectivity, and economic and political parity—experiences associated with being fully human" (191). These authors identify four prevailing critical "techniques" for feminist criticism and emphasize language analysis as a means for reclaiming and redefining the symbolic systems that perpetuate gender inequalities (195-96). Following Nudd and Whalen's important chapter on feminist analysis, Ronald Lee and Adam Blood provide rich insight into the practice of ideographic criticism. The authors identify Michael McGee's theory of "rhetorical materialism" as the "ideological turn" in rhetorical criticism and add significant points to the text's multiple discussions of ideology (215). While students are typically first introduced to rhetorical analysis as the nature of the effects of rhetoric on an audience, they explain that ideographic criticism better reflects what rhetorical critics actually do, which is to understand rhetoric as "a symptom of changes in ideology" (224). This chapter challenges students to move beyond the standard textbook notions of rhetorical analysis and toward the more complex, artistic notions of rhetorical criticism that Kuypers calls for. With Lee and Blood having elevated the expectations for rhetorical criticism, Kuypers begins part three of the textbook by discussing eclectic criticism. This chapter pushes students to think about the previous chapters as tools rather than proscriptive methods for becoming effective critics. He makes this point best when he writes that eclectic criticism "takes components of various rhetorical theories and blends them together into a comprehensive whole, all to better explain the workings of an intriguing rhetorical artifact" (239). Though Burke's influence can be felt throughout, Raymie McKerrow's chapter on critical rhetoric carries particularly Burkean overtones. While he foregrounds the necessity for students to understand that "the critic gives voice to his or her own ideological commitments in the act of evaluating the discourse of others", he also emphasizes that critical rhetoric is about embodying an orientation for its "emancipatory potential" (254). McKerrow credits Burke with influencing his idea of the orientation of critical rhetoric and concludes that the critical rhetoric project commits us to "the realization that action is never final" (266)—critical rhetoric commits us to keeping the conversations going ad infinitum. In the final chapter, Kristen Hoerl demonstrates the value of popular culture and social media analysis as it allows critics to "participate in the political and social struggles of our time" (269). Citing Raymond Williams's conception of culture as a "'whole way of life'", Hoerl argues that this definition opens the door for scholars to critically approach what might be considered "low brow or trivial" cultural practices (269). She distinguishes pop culture as "an object of analysis" rather than a method and argues that rhetorical criticism of popular culture has a direct connection to "investment in civic life" (270). If for no other reason, Hoerl contends that we should be interested in pop culture and social media analysis for the same reasons that Kuypers believes we should care about rhetorical criticism—it can teach us something about "who we were, who we are, and who we might become" (1). For as much as Burke's influence on rhetoric is apparent here, Kuypers and his contributors also resist allowing that influence to overpower the various perspectives that are offered. In keeping with the nature of rhetorical studies as a humanistic discipline, this text continually advocates for rhetorical criticism as an exercise of human agency that can affect social change. As intended, the textbook provides structure for students learning to write criticism while emphasizing that criticism is an art that requires intellectual rigor. Though students may not yet see it, Kuypers seems to argue, engaging with rhetoric is as crucial to their lives as anything. After all, he writes, "We simply cannot do without rhetoric. In fact, knowledge about the wise use of discourse has never been more necessary than it is today" (18).